A man is dead after getting in a motorcycle crash in Manchester, New Hampshire. 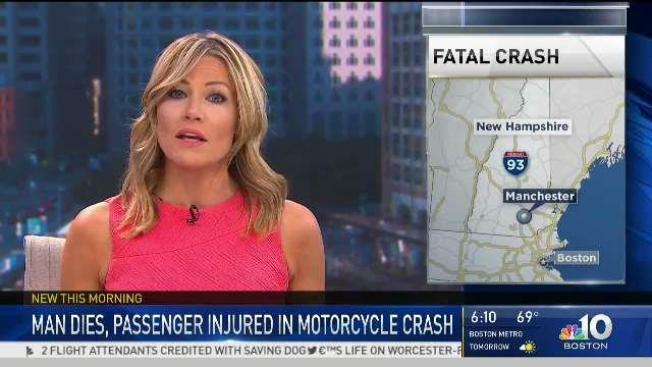 A 36-year-old man died Monday after he collided with a vehicle while traveling in his motorcycle in Manchester, New Hampshire. The collision was reported in the area of Elm Street and West Auburn Street, officials said. A preliminary investigation shows that a Toyota driven by an 18-year-old Manchester woman collided with a Harley Davidson when she made a turn onto Auburn Street. The driver of the Toyota was unharmed but the motorcyclist sustained serious head injuries. He was taken to a nearby hospital, where he died. A passenger on the motorcycle, a 28-year-old Manchester woman, was also taken to a hospital for serious injuries. Officials are withholding the identities of those involved in the collision pending investigation. It is unclear if charges will be filed. Anyone with information on the collision is urged to contact the Manchester Police Department at 603-668-8711.